Sherwin B. Nuland is Clinical Professor of Surgery at the Yale University School of Medicine and a Fellow at Yale's Institute for Social and Policy Studies. He is the author of a number of books: LOST IN AMERICA, LEONARDO DA VINCI, THE DOCTOR’S PLAGUE, THE MYSTERIES WITHIN, THE WISDOM OF THE BODY or HOW WE LIVE, and HOW WE DIE, which won the National Book Award for Nonfiction, DOCTORS: The Biography of Medicine, THE FACE OF MERCY: A Photographic History of Medicine at War, and THE ORIGINS OF ANESTHESIA, a volume in the Classics of Medicine Library. 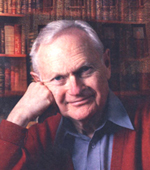 In addition to numerous medical publications, he has written for The New Yorker, The American Scholar, The New York Review of Books, The New Republic, Time, and Discover. He has been the recipient of many awards and prizes.